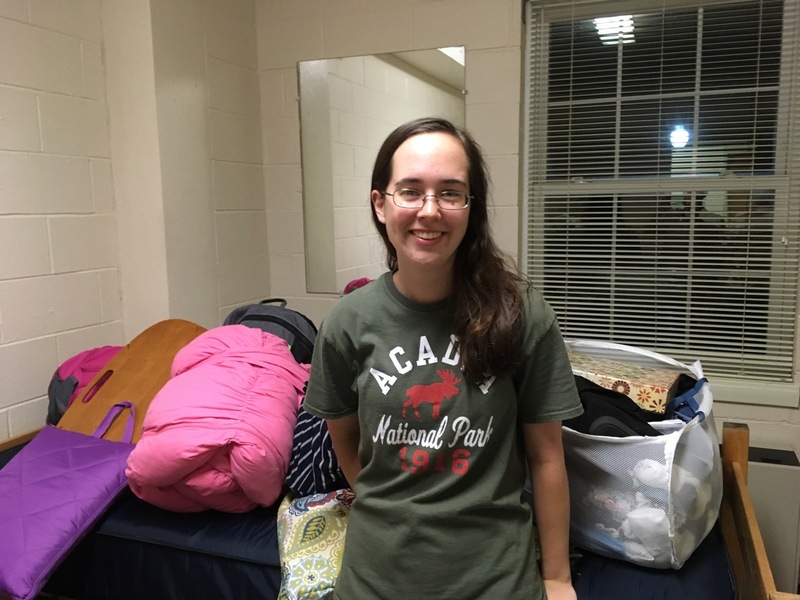 We dropped Jenna off last night at Belhaven to begin her junior year. She’s all ready to go and should have a fun year with a class in aesthetics, Victorian Lit., History of Grammatical Structures (they are using a text book I used in college a long time ago), biology, and honors where the subject they will tackle (from looking at the reading list) appears to be something to do with the role of work. We also got to see Lauren briefly on our way back home as we dropped off some essentials that she needed, like her coffee mug. I think we’ll probably feel like we’re missing someone for awhile. But I am personally looking forward to diving in with Rebekah in lots of fun subjects this year in school. Adjustments for everyone ahead. This entry was posted in College, Home school. Bookmark the permalink.